Two projects delivered by Kane Constructions were recognised at the 2018 National Architecture Awards ceremony held in Melbourne on Thursday 1 November. 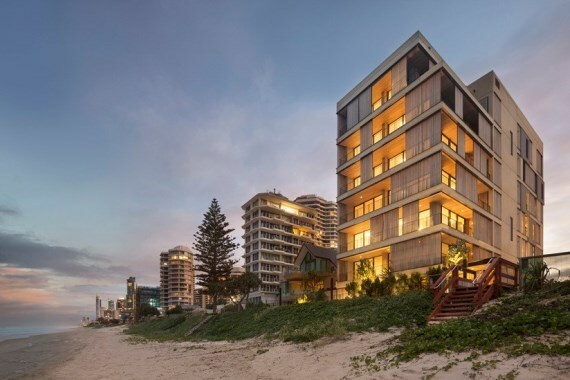 House on the Coast designed by Sean Godsell Architects won the Robin Boyd Award for Residential Architecture – Houses (New) and the M3565 Main Beach Apartments project by Virginia Kerridge Architect received a National Commendation in the Residential Architecture – Multiple Housing category. 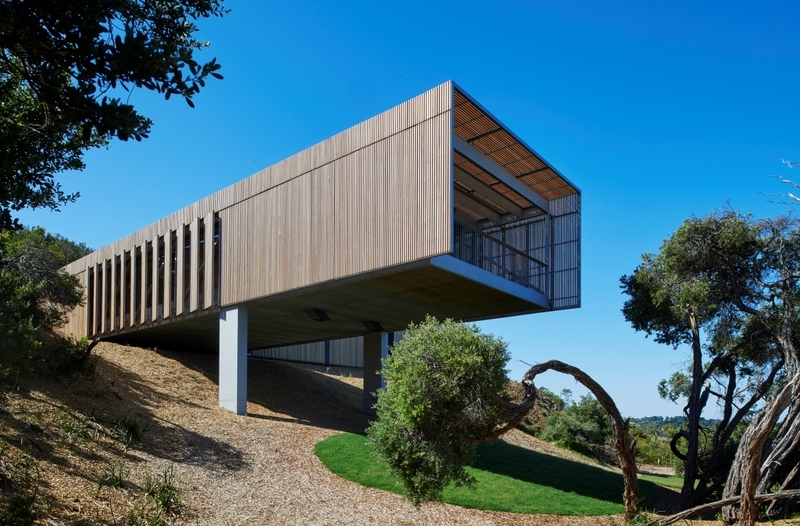 House on the Coast comprises a concrete and steel cantilevered 'L' shaped structure with a timber batten double skin façade, two bedrooms, two bathrooms, gallery, pool, carport, terrace, communal kitchen, dining and living space. M3565 beachfront apartments at Main Beach, Gold Coast incorporates a high end industrial design. The exclusive eight storey apartment building consists of seven premium grade apartments with underground basement car parking. The building envelope consists of off form coloured concrete wrapped in pre patina zinc cladding and 40x40 recycled grey ironbark timber screens.